After brushing your teeth and washing your face, there’s one more important task to take care of before bed: soaking your muesli. Trust us: Your growling tummy will thank you in the morning. Muesli—a sometimes bland blend of uncooked oats, seeds, fruits, and nuts touted for its high fiber content—has gotten a colorful makeover courtesy of Kashi. With sweet flavors like Cacao Nib Almond and Coconut, and Cherry Cinnamon and Cardamom, your average bowl of plain oats and seeds, these are not. 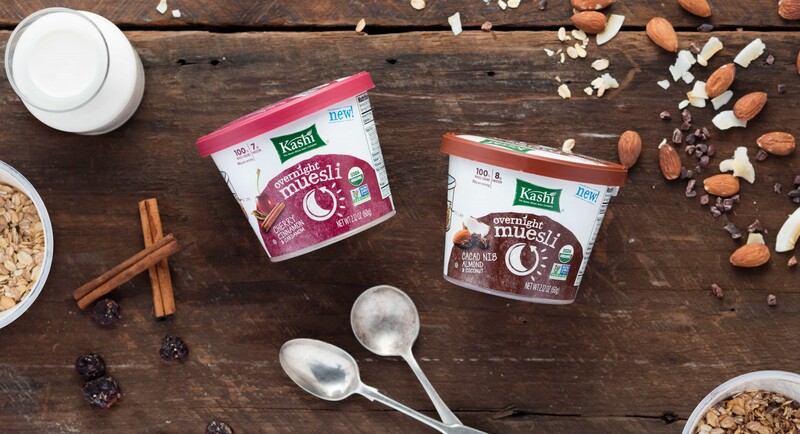 While you can enjoy any of these single-serve cups with a splash of nut milk, Kashi recommends soaking the muesli overnight (for about eight hours) for a creamy treat worth jumping out of bed for. And here’s the best part: It’s easy to get creative with how you soak—and top off—the oats. 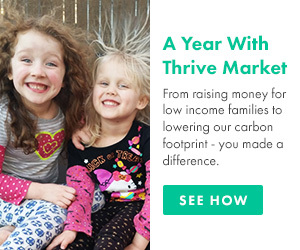 Thrive Market had a little fun in the kitchen and whipped up these crave-worthy recipes that amp up the flavor and the nutrition of every cup. Add a little extra spicy-sweetness and caffeine kick to a bowl of Cherry Cinnamon and Cardamom Muesli by soaking it in chai concentrate, a rich blend of antioxidant-rich teas, spices, and vanilla. Mix approximately ¼ cup each of the chai latte concentrate with almond milk, then pour over the muesli. For added moisture, fill it up slightly past than the suggested line marked in the container. Cover and let sit in the fridge overnight. Before serving, stir and top it off with cherry Greek yogurt for extra creaminess. For a little extra decadence and superfood nutrition, soak Cacao Nib Almond and Coconut Overnight Muesli in chocolate almond milk, made from almond milk, raw honey, and cacao, maca, lucuma, and ashwagandha powders. Pour the chocolate almond milk into the cup (again, for added moisture, fill slightly past the suggested fill-line). Cover and let sit in the fridge overnight. In the morning, add a spoonful of almond butter and some mashed banana to the cup. Stir, then top with banana slices, shredded coconut, and cacao nibs.